for $209,750 with 2 bedrooms and 2 full baths. 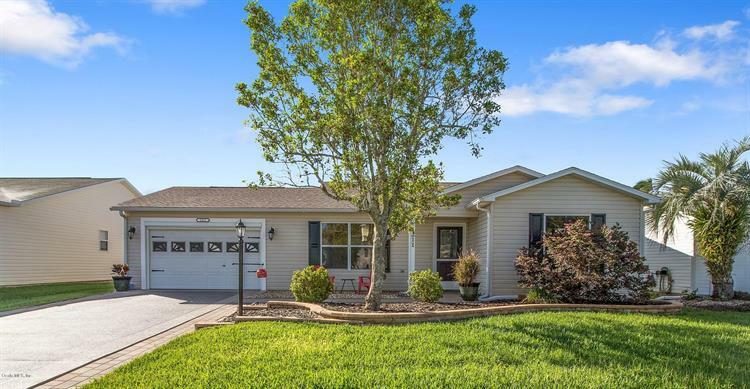 This 1,148 square foot home was built in 1999 on a lot size of 0.12 Acre(s). WOW! BOND PAID!! Clean as a whistle and updated with great appointments. Move in without any extra work. Vaulted ceilings, updated kitchen withBreakfast bar and granite countertops in kitchen and baths. Tile and laminate flooring, carpeted bedrooms, with great colors throughout. Enclosedlanai offering plenty of extra space for office or casual lifestyle and large birdcage for entertaining outside. Master has spacious walk in closet withcustom shelving for great organization. Dual vanity in master bath. Updated fixtures throughout. New roof 2018. Deep garage has plenty of space for golf car, roll up screen on garage entry. Laundry area with sink. Enclosed lanai NOT included in square footage. Gutters and groomed driveway with pavers plus curbed flower beds. 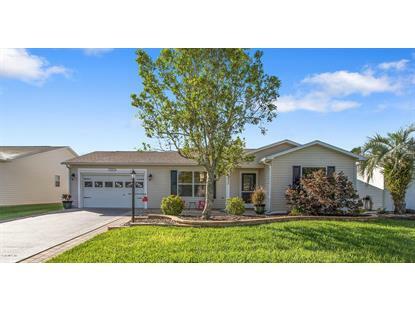 The data relating to real estate for sale on this web site comes in part from the Internet Data Exchange Program of the Ocala Marion County Association of REALTORS. Real Estate listings held by brokerage firms (licensees) other than Weichert Realtors are marked with the IDX logo and detailed information about them includes the name of the listing brokers.